The goal of DANDY LION MONTESSORI SCHOOL is to maintain the reputation of being the best preschool in the community with the best trained professional staff of any private school in the area, thereby we exist to cater to both the education of your child and the welfare of our staff. We design our programs to cater to the whole being of the child. Click here to read about our Montessori curriculum. We have especially prepared our environment in a way that maximized the independent learning and exploration of your child. Our staff is made up of professional and responsive teaching personnel who will gently guide your child through the day. Referrals from our dear parents are received as a high compliment. We thank you for your trust in our school and staff. 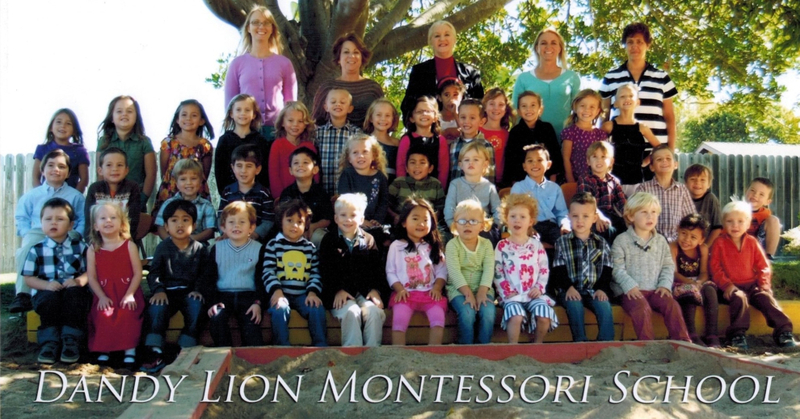 Here at DANDY LION MONTESSORI SCHOOL, we provide an authentic Montessori program for preschool and kindergarten aged children (21/2 to 6) in the Five Cities (Pismo Beach, Arroyo Grande, Grover Beach, Shell Beach, Oceano) and surrounding areas of San Luis Obispo (SLO) County, California. 7:30 and 8:30 AM for the Morning Program, and picked up between 12:00 and 12:30 PM. Noon and 1:00 PM for the Afternoon Program, and may be picked up between 3:00 and 5:30 PM. 7:30 and 8:30 AM and may be picked up between 3:00 and 5:30 PM. Thank you for your interest. We hope you find our website informative and look forward to your call to answer your remaining questions and schedule a tour of our facility.